“Freak. Loser. Idiot. Geek.” These are just some of the ugly labels kids throw around every day at school. Chances are, your child has been called names even worse than these. The sad fact is that the more times your kid is called a hateful name, the more he’ll start to believe it’s true. This week, we sat down with “Teen Whisperer” Josh Shipp to talk about the dangers of kids using labels, and to hear why he believes your child’s sense of identity is at the core of good self–esteem—and good behavior. EP: Josh, you say that you were given a lot of labels growing up. How did that affect your behavior? JS: I was a so–called “prom baby,” so from the time I was born I had a label. As a foster kid, I was destined statistically to fail, and people treated me that way. The fact is that most foster kids don’t graduate from high school. And believe it or not, a huge percentage of homeless people—some studies say as high as 50 percent—are former foster kids. If you have a learning disability or if you have ADD, the prevailing attitude is that you are destined to fail at certain things. So as a child, I felt like most people had already written me off and given up on me simply because of these labels. The problem is that if a child hears these things over and over again, he’s going to begin to believe it. He buys into the label he’s been given, ultimately acts it out and starts to perceive himself that way. EP: Why do you believe that to be so? JS: I believe it’s because you come to a point where you say, “All right, fine—you think I’m a rebel, I’ll show you a rebel.” It just gets so repetitive and beaten into your brain that eventually you fold and you accept it. I believe this is why identity is the number one problem facing teens; how we see the world determines how we interact with every other part of it. To give you an idea of what I’m talking about, when I was 15 years old and moved in with the family who eventually adopted me, I went to an eye doctor for the first time. He told me I had horrible vision—something I hadn’t realized. I got glasses and immediately, I saw the world differently. In fact, I could not believe how different everything in my world looked to me. I didn’t know that all that time, I should have been able to see the fine details in the clouds or the grass or in paintings. I didn’t know that you should be able to read a sign or recognize someone from 20 feet away. The same thing is true with your identity as a person—you just don’t realize it’s an issue until you’ve dealt with it. And after the fact, you say, “Oh my gosh, it didn’t always have to be this way; the world is really not the way I thought it was. I’ve been banging my head against the wall for no reason and fighting against the wrong people all this time.” Many people are blind to this as an issue in their lives. They write it off, as opposed to taking responsibility for themselves, instead of saying, “The issue lies within me and how I’m viewing the world.” Again, this comes down to identity. EP: What do you think happens to teens—and their sense of identity—when they’re labeled? Here’s what every kid needs to learn: if you don’t identify yourself—decide who you are—other people will do it for you. When kids get called a loser by a few people, they begin to believe they’re losers—and then they start to act like losers. The thing is, just because you’ve failed doesn’t mean you’re a failure. I’ve been to Taco Bell, but that doesn’t make me a taco. It’s almost funny because of how ridiculous it is, but sadly, kids don’t see the ridiculousness. They think, “Wow, I’ve failed two or three times at this; that must mean I’m a failure.” But it doesn’t mean they’re a failure—it just means those times didn’t go as well. So instead of caving in and saying “Screw it; I’m a loser,” what your child needs to say is, “Well, this is how I can approach it differently next time.” Or “I wasn’t as prepared as I should’ve been. Next time I’ll try harder.” The trick is for your child to focus on how he can improve, instead of on giving up. EP: That makes a lot of sense. 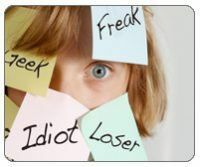 When a kid starts to believe the labels they’re given, it sounds like it can show up in their behavior in all sorts of ways. JS: Absolutely. One of the things they do is shut down. So many kids have these enormous brick walls built around themselves because they’ve been labeled. Often, they’re just trying to protect themselves. Many lash out and bully others. Personally, I believe that if kids knew who they were and felt good in themselves, they wouldn’t be bullies because there would be no need for it. When you bully others, what you’re really trying to do is siphon some energy and self–esteem off of other people, because you yourself are lacking it in yourself. EP: In that case, how can you as a parent help your child to find their “core identity” so that labels don’t affect them? As a parent, I think I’d have a tough time finding the right words to talk about this. JS: I believe it’s a repetition and consistency thing. As often as possible, tell your child, “We believe in you; we see the best in you.” You never know when these words are needed and where they’re going to land. In fact, I believe it’s particularly important to be positive if you have a child who isn’t opening up to you. Maybe your teen comes home after a nightmare of a day at school. You have no idea what went on and don’t understand why your child is so moody and irritable. That was me ten years ago. I will tell you that those little chats my parents had with me made all the difference. They kept saying, “Josh, you’re not a problem, you’re an opportunity.” They said it millions of times. Some days, it just bounced right off of me but there were some days I really needed to hear it, and it got through when it needed to. I want to stress that my parents were ordinary—they didn’t have exceptional skills or advanced degrees in child psychology. But they were loving, positive and consistent—and they believed in me. What they said wasn’t anything other than the right message at the right time. In a way, you can think of it like real estate: location, location, location. They were just in the right place at the right time. And I needed to hear what they said and I was eventually able to believe it. I knew it wasn’t garbage—I knew they meant it, and that allowed me to own it. So never underestimate the value of repetition—it’s huge with kids, especially at this age. EP: What do you do with the kid who has already given in and accepted the label he’s been given? Is it too late to reach a child like that? And that’s the key. The beauty of life is that you can wake up each day and decide exactly who you are. You can wake up and say, “You know what, I’m going to be a jerk. I’m going to believe that everybody has it out for me and I’m going to be defensive. I’m not going to meet new people and I’m not going to try new things, because there’s no point. ”Or you can wake up and say, “All right, it’s a little bit scary, but I’m going to go out there and I’m going to be who I really am, not who others want me to be. I’m going to be open to opportunities and I’m going to be cool to people and treat them the way they should be treated. I’m going to listen and I’m going to try things and I’m going to do my best.” Every day you have that opportunity, so it’s never too late. Ultimately it comes down to a choice. EP: Josh, what would you say to parents out there who want to talk to their teen about the problems they might be having, but are worried they’re going to say the wrong thing? JS: I believe it’s important to realize that number one, you don’t have to be perfect to talk about something with your child. Personally, I think if you wait until you’re perfect, you’ll never do anything in life. If you wait until you’re a perfect writer, you’re never going to write anything. If you wait until you’re the perfect guitar player, you’re never going to perform. I believe it’s better to have an awkward and tricky conversation with your teen than to wait until you’ve had 12 years of training. 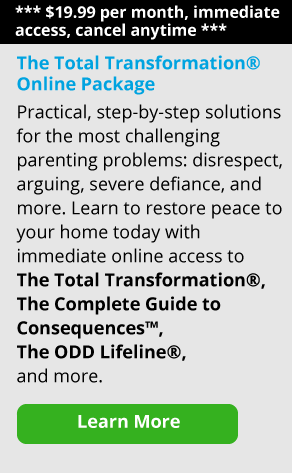 By the way, I believe that if you as a parent are struggling with the same issues or doubt yourself, the best thing you can do is talk to your teen about it. This will encourage your child to open up about things he’s struggling with. It makes you a human being who cares about him and not the robot that’s just an authority figure. I’m not suggesting you need to be your child’s friend. You don’t—you need to be their parent. You need to be an authority figure, but showing vulnerability makes you human and people want to open up to humans. I think that people who are flawed and who still deal with things to the best of their abilities make the best role models. If your child is down on himself, this will help him see himself in a new way. And kids think that’s fun because they see it as a do–over. EP: As a do–over? What do you mean by that? JS: Think of it this way. We all love make–over shows where the nerdy librarian is turned into a beautiful woman. We are drawn to this because they’re redefining themselves. And when kids believe they have that opportunity, they’re really open to talking about it. They’ll say, “Here’s what Connor 2.0 looks like. I’d like to be more of this, less of that and I’d like to be involved in these sorts of things.” And that’s where you as a parent come in and say, “All right, cool, what are your first steps?” And you’re on your way. Most people see the final product; they don’t see the first step. People look at Michael Jordan and say, “I could never be as talented a basketball player as he is. ”Well, he wasn’t always that good. In fact, he got cut from his high school basketball team but he didn’t give up. What’s unique is that he was willing to put the time in and take those first steps. That’s where your child needs to start, because if he’s not careful, you can check out and say, “Well, Michael Jordan is talented and blessed and born with something I don’t have. That person who is confident and has good self esteem is born with something I don’t have.” But I don’t agree. I think it’s about discipline. It’s about making a plan. It’s about taking those first steps. Why did my parents help me change my life? They saw an opportunity and they took action. They didn’t start with the final step; they started with the first step. It got the ball rolling—and that’s what you need to do. Seize an opportunity to make your kid’s life better. Do what you can as a parent to give him a foundation and a positive sense of self–esteem, and help him learn how to decide on his own who he is.